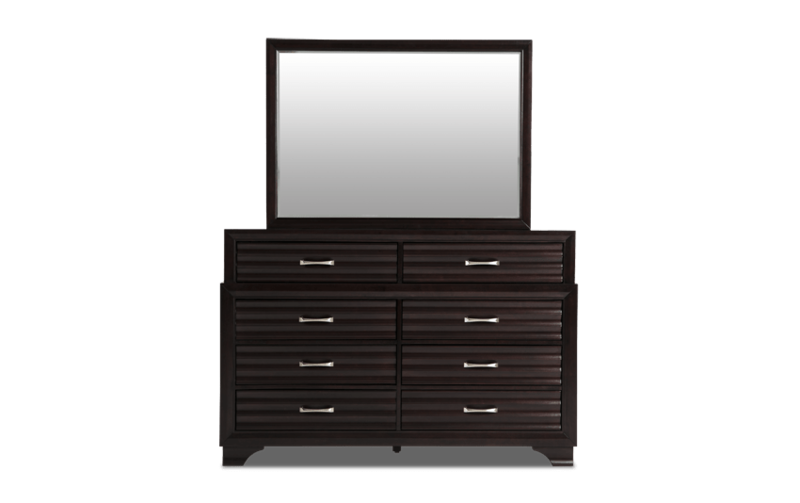 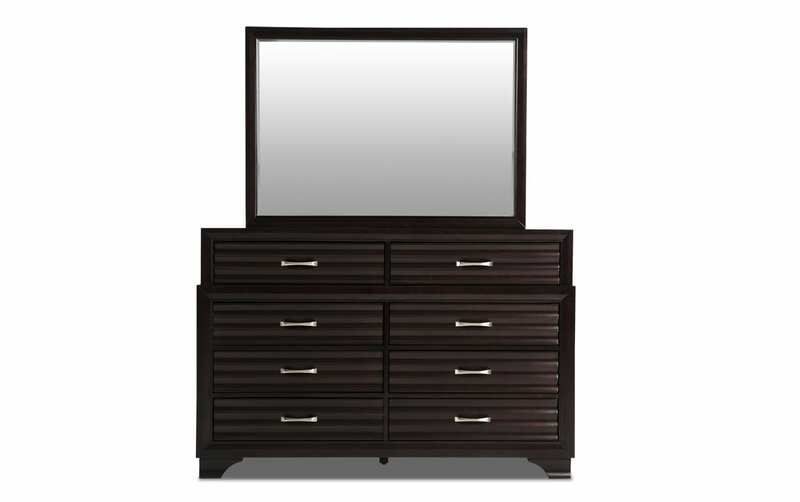 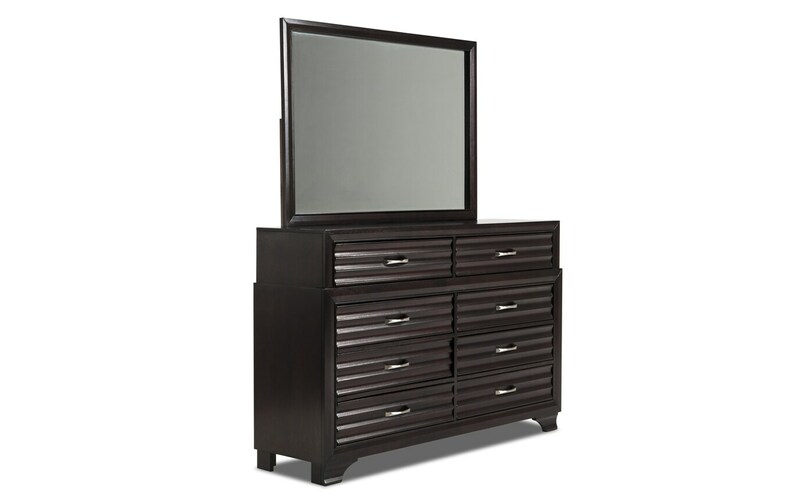 My Midtown Dresser & Mirror brings tons of style straight into your bedroom. 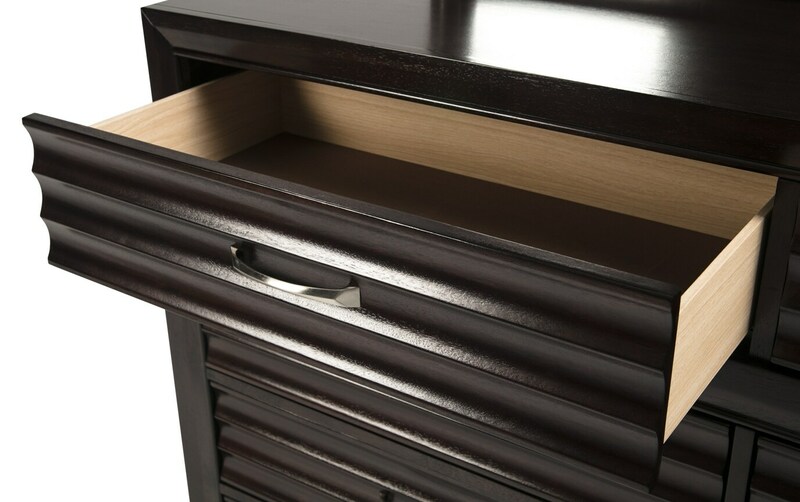 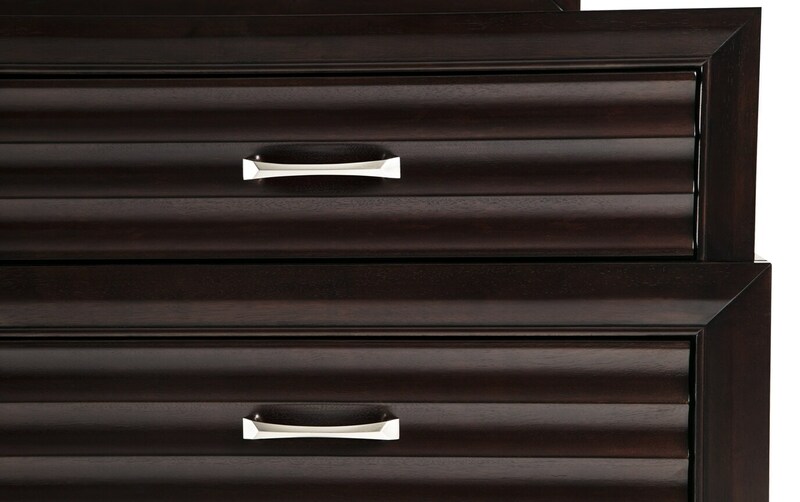 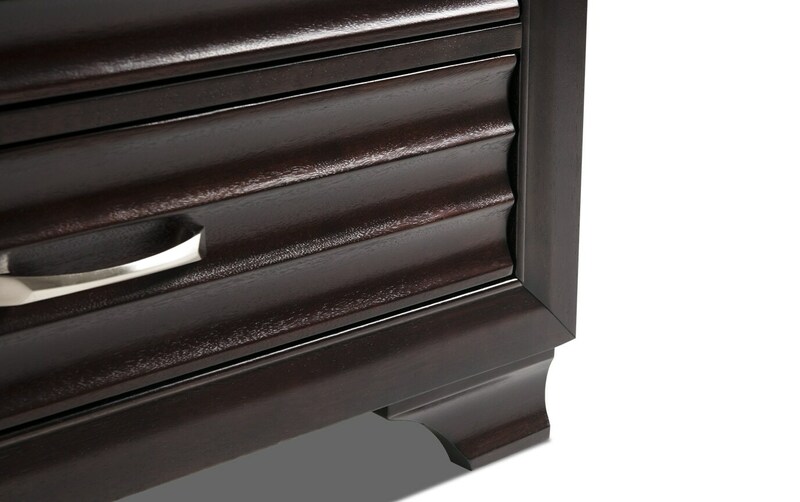 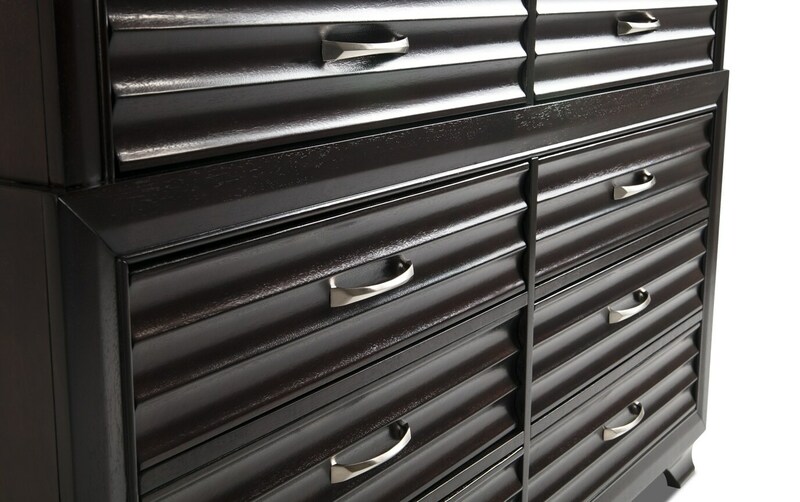 Storage is made easy with felt-lined top drawers to protect your garments or belongings, and there's no way you can run out of storage with this many drawers! 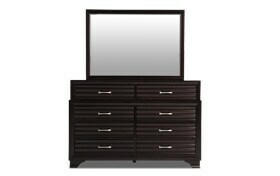 But ultimately it's all about the Midtown's STYLE- you'll get shiny silver hardware and deep, grooved drawer fronts!